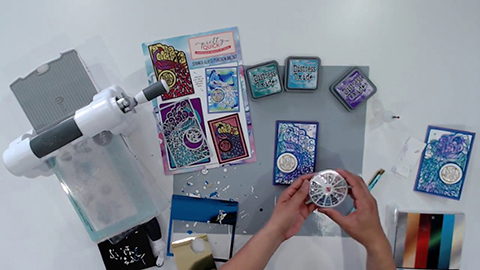 Janette creates an easy colourful background with a mix of Distress Oxides and pairs it with this gorgeous Pretty Quick Stained-Glass Peacock Die Set included in Die-cutting Essentials Issue 38. 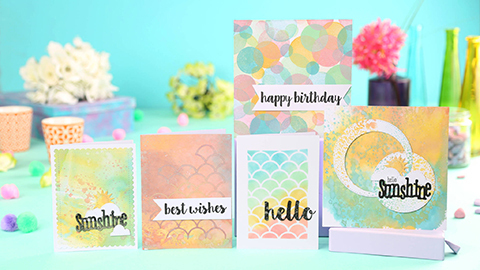 The colourful Oxide background plus the intricate panel die makes a pretty quick card! The Stained-Glass Peacock Die Set includes a “Best Wishes” sentiment that fits in panel. 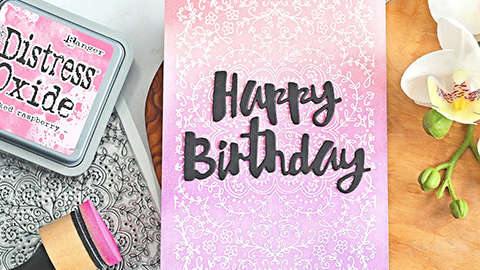 There’s so much you can do with this die set! 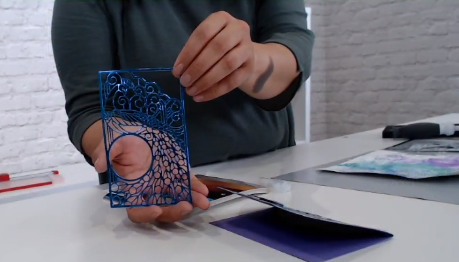 Janette starts out with a piece of white cardstock. On a craft mat she adds the following Distress Oxides colours: Wilted Violet, Broken China, and Lucky Clover. 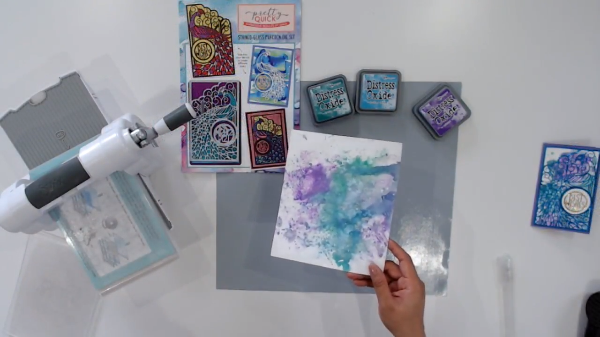 She spritzes the ink colours with water and then dabs and drags her white card through the inky waters to create some spontaneous colour splodges. She repeats the process until she’s happy with the background and then speeds up the drying process with a heat tool. 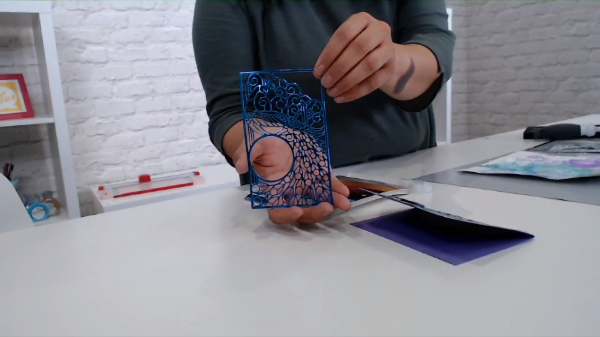 She die cuts the peacock panel from blue foil card, glues it on the colourful background, and embellishes it with some gemstones. So easy and fancy too!